Walkhighlands features over 1,800 walks in all corners of Scotland, as well as more than 3,000 places to stay. Here’s our quick pick of some of Scotland’s most beautiful villages. 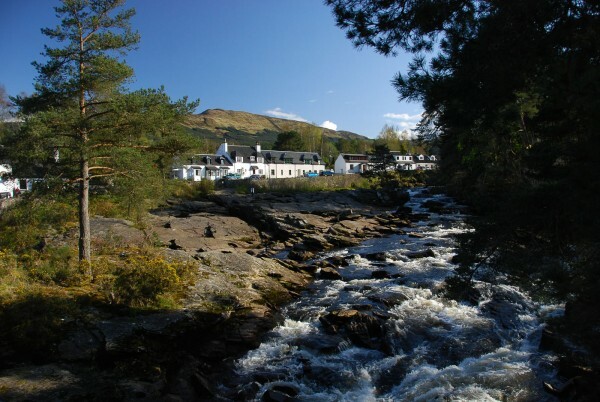 The popular village of Killin lies at the western end of mighty Loch Tay, but as if that isn’t enough it also has the beautiful Falls of Dochart, where the road crosses the bridge over the cascading rapids of the river. The village has plenty of pubs and B&Bs and is a popular place for holiday cottages to rent. Other attractive villages in the area include Kenmore at the other end of Loch Tay, and Fortingall with its picturesque thatched cottages and famous yew tree. 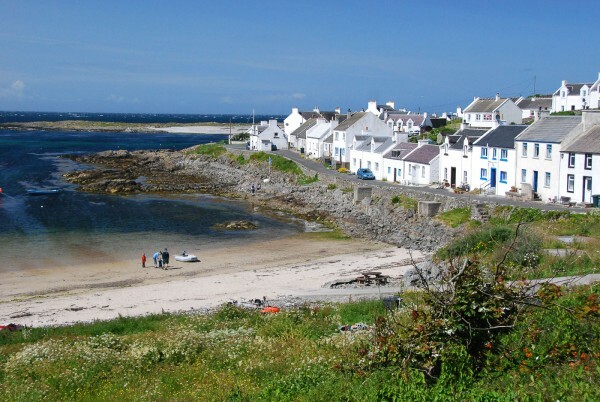 Islay is known as the Queen of the Hebrides and has many attractive villages; Bowmore and Port Ellen have their charms whilst Port Charlotte ranks as many people’s favourite. Our choice, however, is the most westerley, Portnahaven. The island has many white-washed holiday cottages as well as some excellent walking and fine sandy beaches. Whilst Torridon village, nestled by the head of the loch beneath the slopes of mighty Liathach, is the best-known settlement in the area, the village of Shieldaig to the west is the most picturesque. Inveralligin and Diabaig on the north shore of the loch are beautiful spots as well; all of these have self-catering cottages and are ideal bases for walkers. 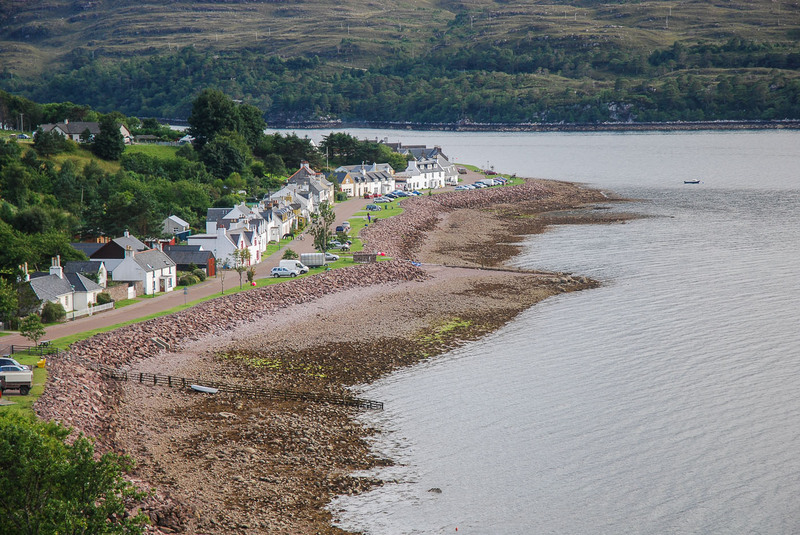 Don’t neglect Applecross a short distance south along the coast – famed for the spectacular Bealach na Ba road. 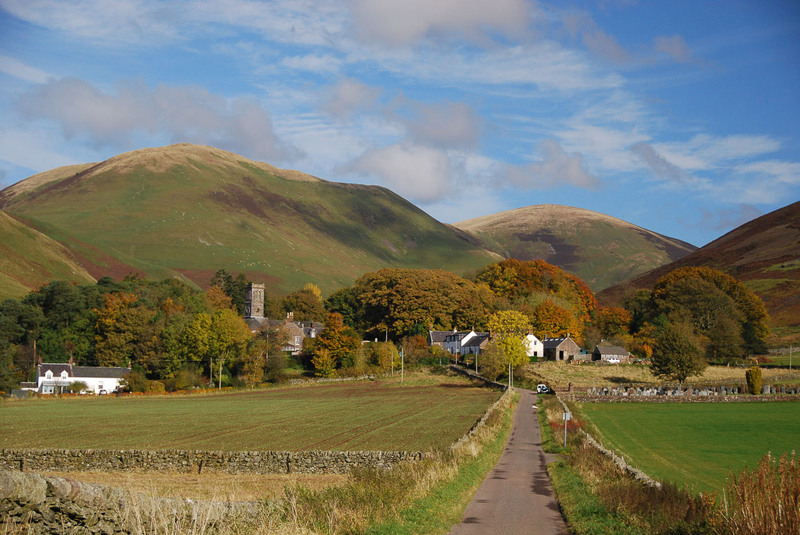 Perhaps the least known place of our list, Durisdeer is nestled in the shadow of the Lowther Hills, north of Thornhill. Dumfries and Galloway offers both rough, empty hills, some beautiful settlements and a lovely coastline. The Isle of Skye is one of Scotland’s best known location for holidays. The Cuillin make this a mecca for the seasoned mountaineer, but the rock scenery of the Trotternish peninsula and the tortuous coastline are no less spectacular. 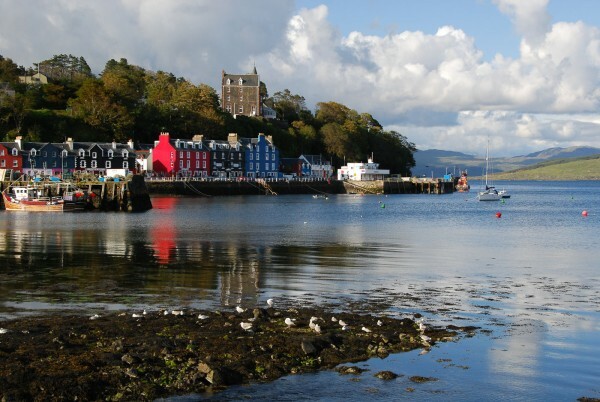 The capital, Portree, has a good location for exploring the island and a very attractive harbour. 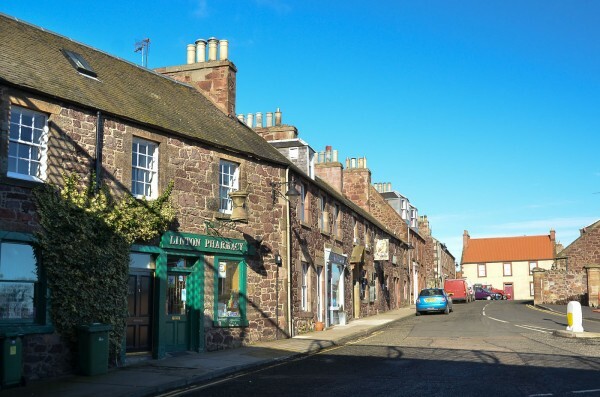 East Linton is just one of many very attractive villages in East Lothian, several of which lie on the route of the John Muir Way. Also worth a visit is the town of North Berwick – jumping off point for boat trips to the spectacular Bass Rock seabird colonies, genteel Gullane and the spectacular castles of Dirleton and Tantallon. Hailes Castle can be visited on a walk from East Linton itself. 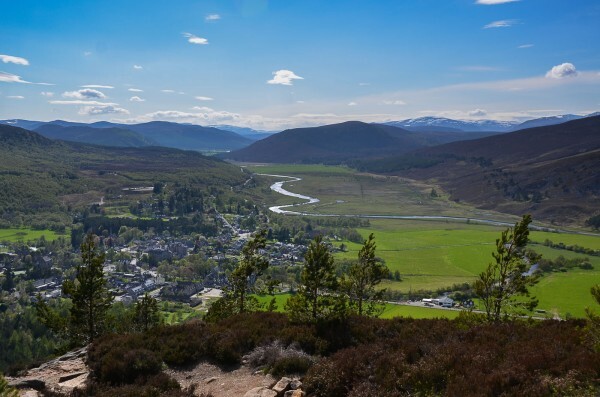 Braemar is one of Scotland’s highest and snowiest villages, but is perhaps most famous for its Royal Gathering; its stone-built cottages offer a base for walkers heading into the mighty Cairngorms. 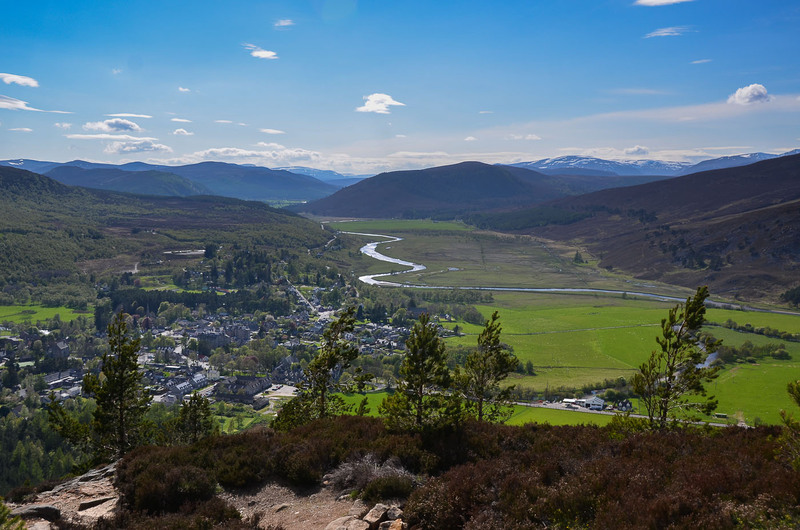 Many of the towns and villages in this largest of National Parks were built to benefit from the growth in Highlands tourism in the nineteenth century; on the other side of the Cairngorms, Boat of Garten and Nethy Bridge are also favoured spots. 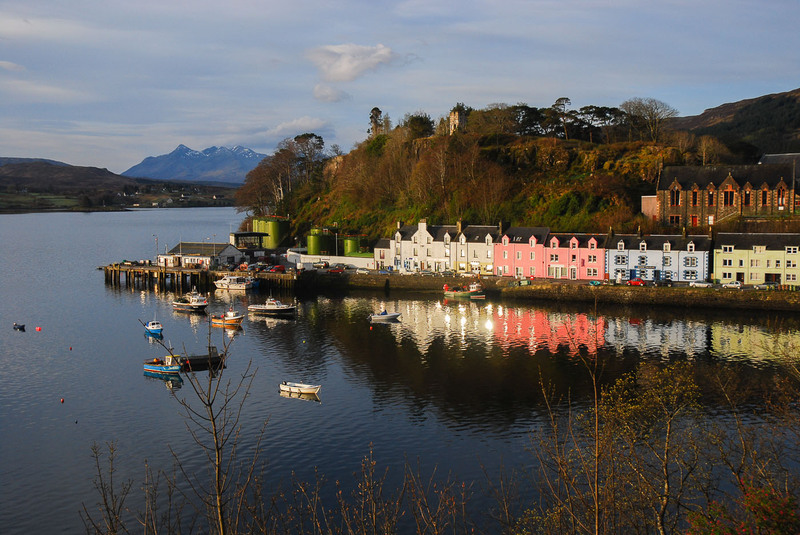 Picturesque Tobermory, its harbour lined by multi-coloured houses, is the subject of many a postcard but has become even better known since it featured as Balamory in the BBC TV series. It is the capital and one of the most popular bases on the lovely Isle of Mull. Fort Augustus is beautifully set along a series of locks on the Caledonian Canal, just before the canal enters the waters of mighty Loch Ness. 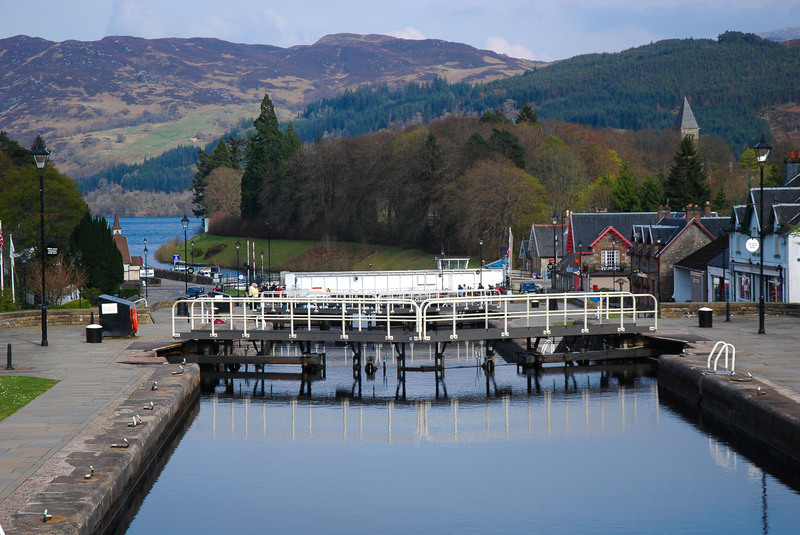 Its position in the Great Glen makes it a popular place from which to explore the Highlands. 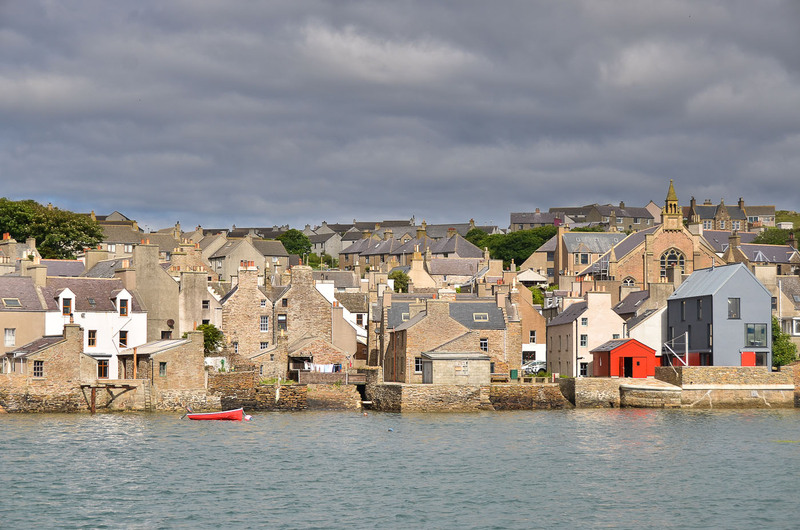 Stromness is the second largest settlement in Orkney, and the arrival point for ferries from Thurso as well as those leaving for nearby Hoy. Its long main street is lined with old cottages – some available for self-catering – many of them backing onto the waters of the Hamnavoe. Stromness is also home to the renowned Pier Arts Centre. The Black Isle is a peninsula of rich agricultural land north of Inverness, with some lovely coastal scenery and very attractive villages. 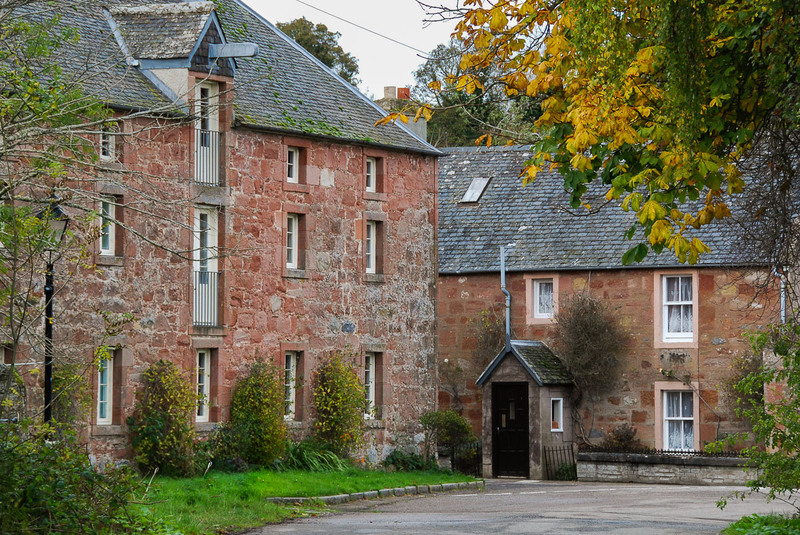 Fortrose and Rosemarkie lie either side of Chanonry Point which is famed for dolphin watching, but the narrow streets and ancient buildings of Cromarty make it a great place to visit. If you ask most Scots to name the most beautiful villages in the country, Plockton would likely feature very strongly. Deservedly so; although set on the west coast, Plockton – the town on the headland – faces east, and makes great use of the shelter with its palm trees and verdant appearance. 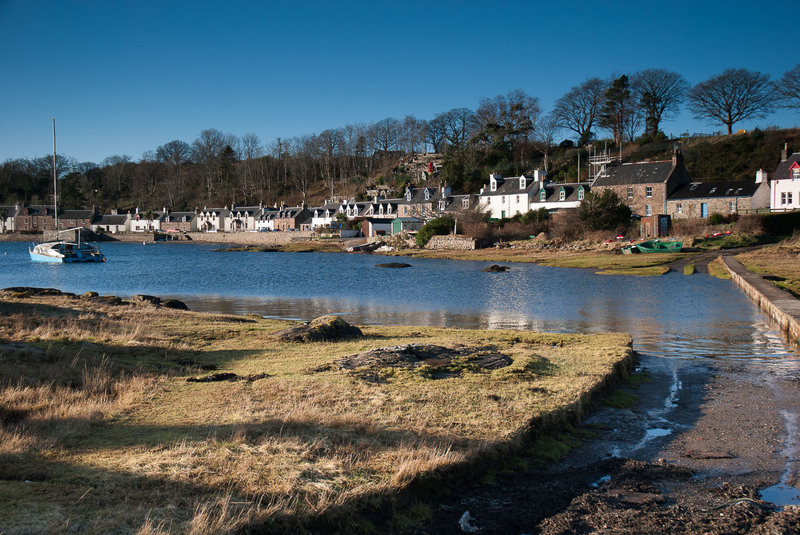 The cottages of Plockton were part of a planned development intended to develop as a centre for fishing. 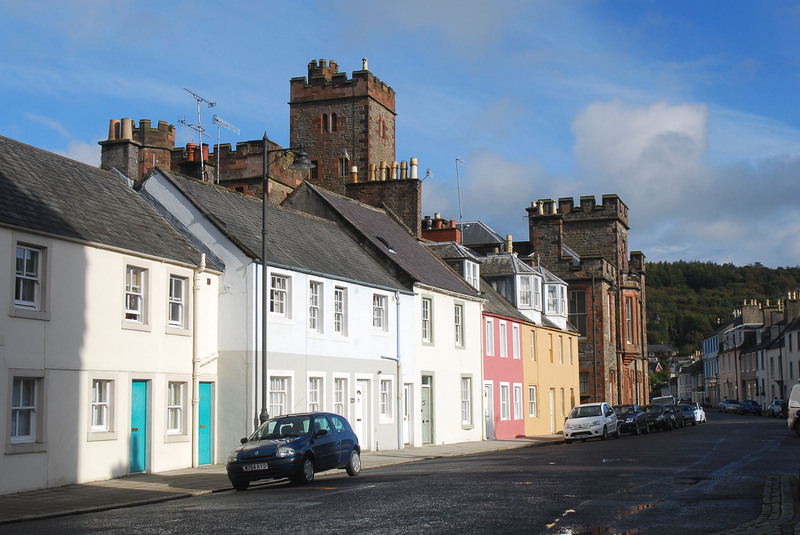 Perhaps more small town than village, Kirkcudbright has been a Royal Burgh since 1455. Its pastel-coloured houses, attractive streets and ancient buildings have long made it popular, and its association with the Glasgow Boys and the Scottish Colourists have led to it being regarded as an ‘artists town’. 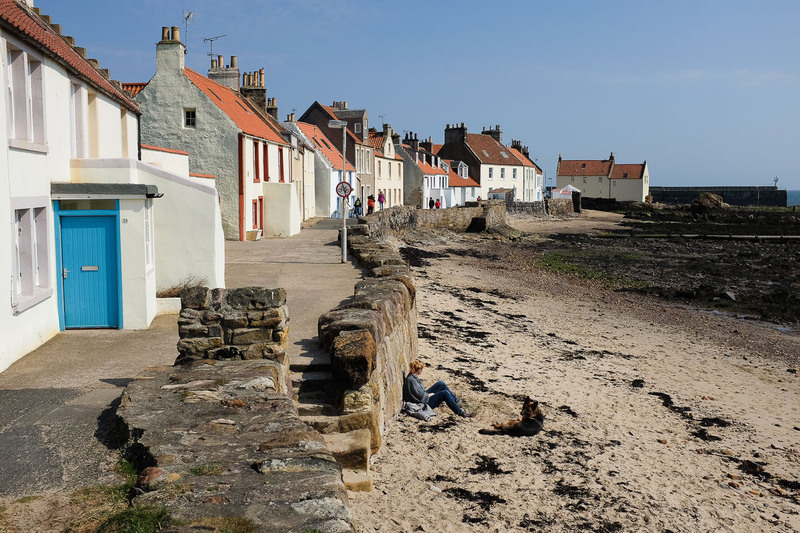 The East Neuk of Fife is a whole chain of picturesque old fishing villages – including Elie, St Monans, the larger Anstruther and Cellardyke, and finally Crail. Whilst the latter is perhaps the best known and most photographed of them all, we’ve picked out Pittenweem as our choice for this list – it has a small sandy beach, a sacred cave and some of Scotland’s finest oatcakes! All of the East Neuk villages – and the university and golf town of St Andrews to the north – are very popular destinations for self-catering holidays; they are also linked by the Fife Coastal Path. 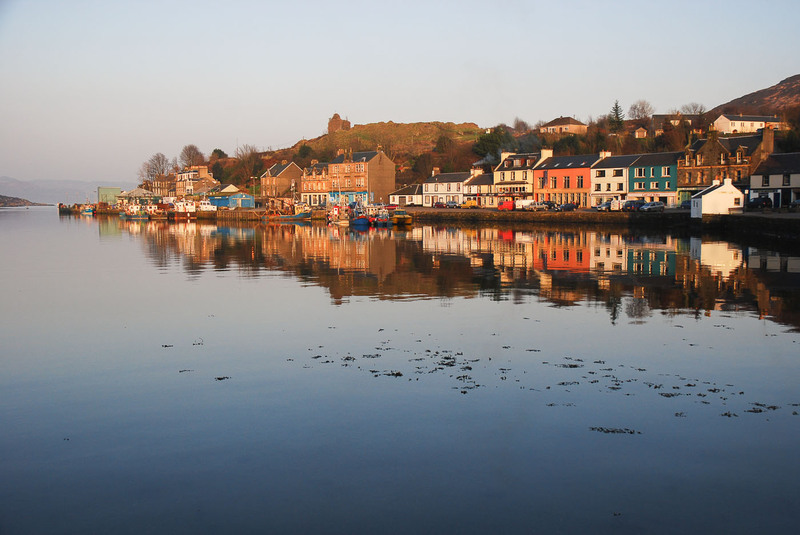 Tarbert – from the Gaelic – means a narrow isthmus, and that at Tarbert in Kintyre almost divides the peninsula in two. Tarbert has a busy harbour and pretty cottages, shops and pubs, and a ruined castle above. It is also the start of the Kintyre Way. Finally we come to the remote northern coastline of Aberdeenshire. 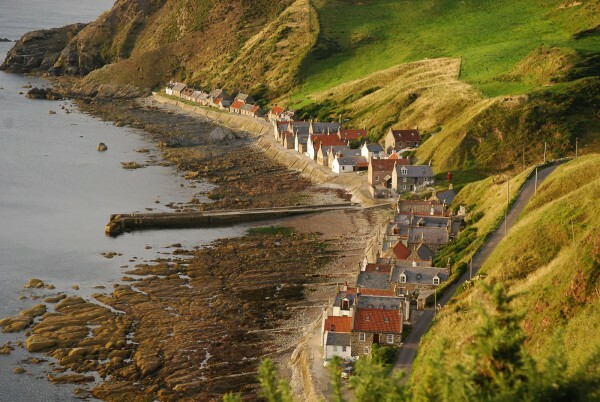 The associations with the film Local Hero have ensured Pennan is the best known of the fishing villages crammed into tiny spaces beneath the cliffs here, whereas Gardenstown is the largest – with a maze of tiny alleyways separating the cottages. But perhaps the cottages at Crovie – presenting their gable-ends to the winter storms – is the most picturesque. Don’t forget Walkhighlands has a huge, searchable database of self-catering holiday cottages in all parts of Scotland.